Home improvement ideas abound during summer, but now that our warmest season is soon coming to a close, you might be thinking, "OMG, have I done anything around the house at all?" We get it—and the good news is, it's not too late. Summer doesn't officially end until Sept. 22, and the weather is still decent, which means there's still time to squeeze in a few more weekend projects. To help narrow down your options, here's a list of prime home improvements to try before summer's end. In fact, this is the perfect time for many of these projects, since you can score deals on materials as home improvement stores try to clear out their summer inventory. In other words, slacking off was the smart thing to do. Backslap! Spring and summer aren't the only times to plant produce. Fall is also a great time to start a vegetable garden, but since the weather has cooled, you'll want to focus on autumn crops—think carrots, cabbage, beets, and kale. If you want to go all out, you can can even learn how to build your own greenhouse to exercise your green thumb year-round. As fall approaches and the warm weather recedes, many retailers slash prices on patio furniture to free up floor space for indoor furniture. That makes September a great month for scoring deals on all-weather chairs, wrought-iron dining tables, umbrellas, and other outdoor furniture. 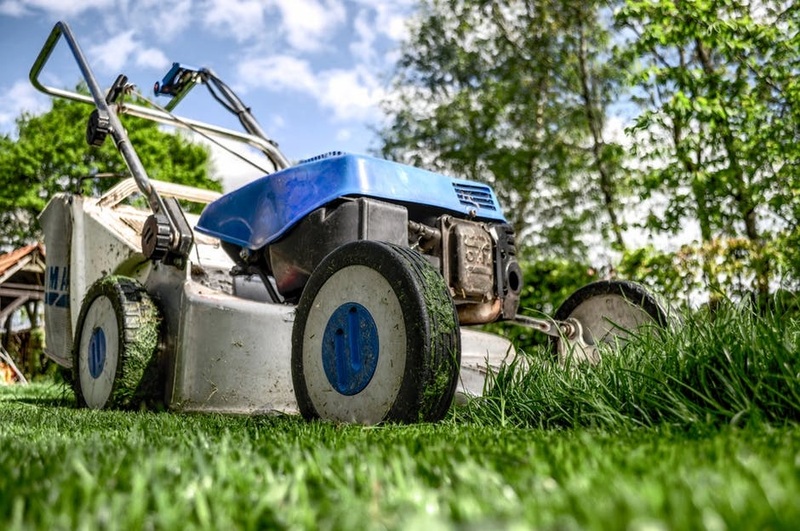 Lawn mowers also have deep discounts in September, according to Consumer Reports. Look to Target and Sears for discounts of up to 40% off, says DealNews.com. To keep your yard looking pristine going into fall, it’s time to touch up your landscaping, says Bruce Irving, a renovation consultant and real estate agent in Cambridge, MA. You can meet with a landscape architect for a consultation to piece together ideas (most charge $75 to $150 for a one-hour consultation). On a shoestring budget? There is a cheaper option: Many local garden centers provide landscaping consultations for free or for a small additional cost if you buy plants from them. Also, a number of cities offer free mulch to residents, says Sarah Hutchinson at LandscapingNetwork.com, so check to see if there’s a program available in your area. Sprucing up your yard is particularly important if you’re planning to sell your home soon, since good landscaping can add up to 28% to the overall value of a home, according to landscape economist John Harris. Before the warm temperatures dip too much, another timely outdoor project is to build an outdoor shower. When designing yours, think about size (what best fits the space? ), plumbing (do you need to install a water line? ), and materials. "High-quality wood products such as ipe and cumaru are known for their stability and are prized for outdoor construction," says John Leggett, CEO and founder of On Point Custom Homes of Houston. Don’t forget to leave extra space where towels and clothes can hang without getting wet. Depending on where you live, you can continue using your deck for outdoor entertaining during the fall and winter months—if you keep it in good condition. “Wood decks need yearly maintenance,” Bill Leys, founder of DeckExpert.com. So, give your deck’s structure a close inspection. Specifically, look for signs of rot or cracks in the decking boards. If you spot issues, consult an expert by ordering a professional deck inspection, which costs on average from $25 to $199, according to Angie’s List. Still using that rickety outdoor grill you purchased ages ago? It’s time to upgrade to a new one. As barbecue season comes to a close, you can nab great deals on grills and grilling supplies. To decide what grill is right for you (e.g., gas versus charcoal), check out our handy grill buying guide. If you’re looking to splurge, take a look at what high-end grill models are on the market. You heard us right! As counterintuitive as it seems, installing a swimming pool in late summer is ideal, for a variety of reasons. One, business for pool builders has slowed by now, which means they'll be eager to cut you a deal that could save you anywhere from 10% to 12% of the price of your pool, or $2,000 to $3,000. Plus, soil tends to be drier in late summer and fall, and dry dirt makes for easier digging. And besides, you probably aren't using your yard as much anyway! So why not take this opportunity to set yourself up for a great summer next year?